Fitness bands have captured the markets worldwide and so many companies are now making them but the difference remains in terms of how good and intelligent are their smartphones apps which can process the data collected through the fitness band. I fell in love with Jawbone bands when they launched it a few years ago and always wanted to own the same. The time came when Takealot.com had a discounted scheme on one of the old version bands names Jawbone Up24 whereas UP3 was the latest one in the market. I bought the same and thought of trying the same out. I reviewed Fitbit Charge HR and this was the moment to try out the other competitions in the fitness band market. I loved Fitbit Charge HR for it's abilities but then I fell in love with the Smart Coach which is a feature in Jawbone app for smartphones as it processes the data collected via the app and gives your personalized advises and motivational messages to carry on. Jawbone Up24 has a 2.5mm jack hidden underneath the Jawbone branded cover on one end of the band. The band can be worn simply by sliding on your wrist and is available in three sizes. The package contains the charging cable with a female jack and USB to charge it via your laptop etc. The battery life on UP24 was nearly 14 days which is the best part about this band as you have to charge it twice every month. Jawbone bands looks like a fashion band and no one will know that its measuring your steps, sleep and many other things. The data is synced automatically to the smartphone app as soon as you have internet and bluetooth both ON. The UP Coach will send some personalized notifications based on previous days data at the start of the day when you open the JawboneUP app on your smartphone. 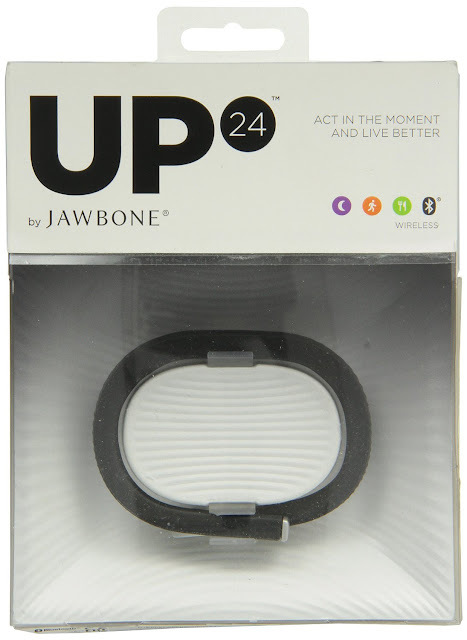 Jawbone UP24 is splash proof and can take a little bit of rain etc but can't be fully submerged in water as the main mechanism/technology hidden inside a thin sheet of rubber will rust. You do have to really take care of the band to not wet it. Being an old model, you have to press the power button to enable the sleep mode so as to track your sleep pattern. The app will then give you exact time when you slept and how many times you were awake along with light and sound sleep and many other splendid information about you. I missed the altimeter which can track as to how many stairs you have taken on this Jawbone UP24. Jawbone App can be linked to several other famous apps and also IFTTT has some recipes for the same to post your notifications across your social media channels. Using the app, you can also track several other features like food intake, water intake etc. Jawbone UP24 remained on my left hand for nearly 3 months, in which it gave me enough insights into my lifestyle. Though during that time, it developed an air bubble on the bottom part of the band and the only button it has fell off by itself. Considering those I had to ask for returns from Takealot and they gladly did the same. But as I am using the other brand's fitness band, I am missing the "Smart Coach" which is simply the best across all the apps I have used or come across. It really makes it interesting and gives your real insights into your lifestyle. I would love to have a UP3 or UP4 to get the same insights and with several new features including Pay feature in latest band UP4. 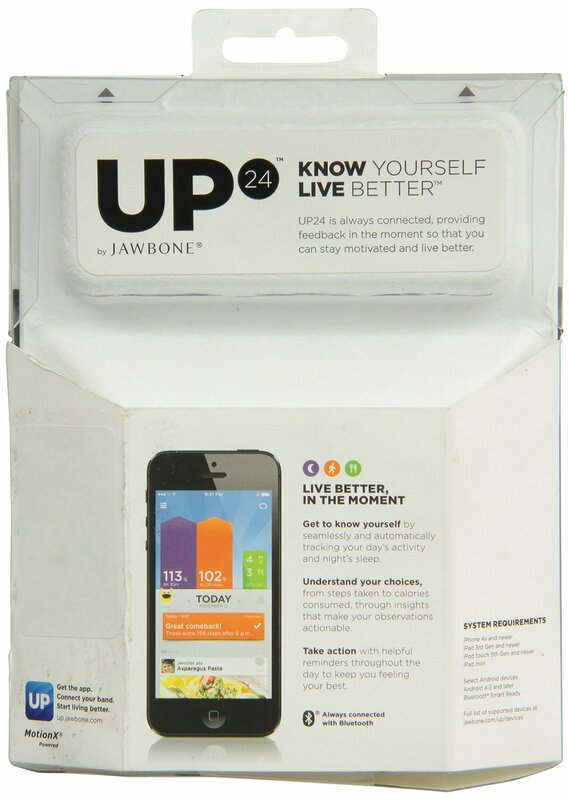 Note: The images are taken from http://www.amazon.com/Jawbone-Activity-Tracker-Discontinued-Manufacturer/dp/B00GQB1JES as the images I took I am unable to find them at the moment.